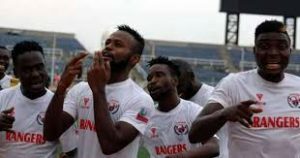 Enugu Rangers beat Ethiopian side Defence Force S.C in CAF Confederation Cup qualifier – Royal Times of Nigeria. Enugu Rangers beat Ethiopian side Defence Force S.C two-nil in their first qualification round game for the 2019 CAF Confederation Cup played on Wednesday, November 28. 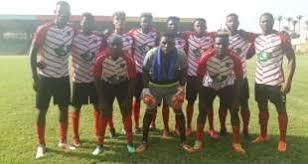 The game was played at the Nnamdi Azikiwe stadium, Enugu. The reigning 2018 Aiteo Cup Champions dusted themselves from a previous one-nil defeat to reigning Nigeria Professional Football League (NPFL) Lobi Stars in the last NFF Super Cup to record a much-needed win against the East African side. Both sides will meet again in Ethopia for the second leg scheduled for Wednesday, the fifth of December. Onyekuru: Eagles Are Well Motivated To Beat Libya.